Adults are about 5/8-3/4 inch long. They are usually brownish with yellow markings, and some have been known to have reddish markings. 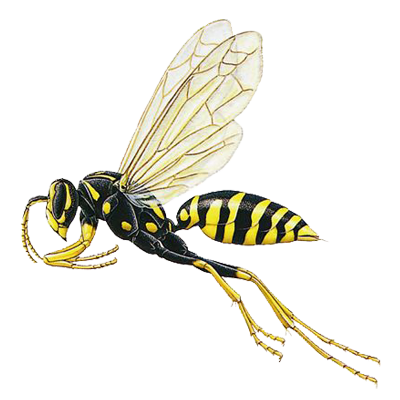 Paper wasps will hang their comb nests from branches, twigs and shrubs. Most often, if these nests are approached or tampered with they will sting. Learn more about the different types of bees, wasps and hornets to see which one you might have! Now offering the following promotions for our pest control services. Coupons cannot be combined with any other offers. Limit 1 per customer. Must present coupon at time of service. Other exclusions may apply.